It's been a while since I've gotten products from Influenster to review and then all of the sudden I got two! 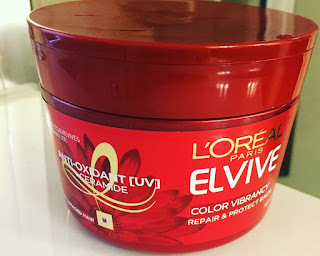 I have had fun trying out the Elvive Hair Repair and the Pure Sugar Scrub over the past few weeks and figured I would do one post since they're both L'oreal products. I'm going to start with the hair mask. I have color-treated (highlights) hair that is fine, but there's a lot of it. I'm also pregnant, which apparently makes it harder to make the color last. And yes, I'm still putting color on my hair while pregnant. My hair is normal to oily. I condition it every day and wash it every other day and on the days that I have a serious sweat session at the gym, which isn't very often these days! Most hair masks tend to make my hair greasy and heavy, so I pretty much shy away from them. However, I was honestly pleasantly surprised by this product! I've used the hair mask twice a week for the past two weeks and I've noticed that it leaves my hair super soft and bouncy. I haven't had any trouble styling after using it, my hair doesn't feel greasy or heavy. I also like that the scent is really light. 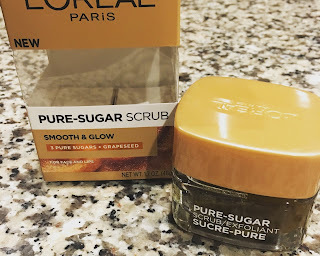 I received another product from L'oreal earlier last year and the smell was so overwhelming that I ended up throwing the product away after testing it. There was no way I could make myself keep using it. The hair mask, though, I'll definitely continue using. I think it will be a great way to help my regular (much more expensive) conditioner last longer. As for locking in color, that's a little hard to tell at this point. My highlights were updated on December 17, including red highlights. Those normally like two to four weeks in my hair before fading from a vibrant red to an auburn that just blends with my natural hair color. It's been three weeks and you can still tell I have the red highlights, but that's not quite out of the normal time frame yet. The color does seem to be holding on a bit longer this time, though, but that could just be wishful thinking on my part! This product came right when I ran out of another sample exfoliator I'd been trying out. I've been on this tear of trying to use up all the freebie samples in the house before buying new full size products lately. The timing was perfect! I'd enjoyed using the exfoliator, but wasn't quite ready to commit to a full size product, so I was happy to receive this one to try. I use the scrub in the shower. I wash my face in the shower. It seems to be the only way I can actually keep up with washing my face on a daily basis. I like that the scrub is all natural. It leaves my skin nice and soft, but I wish it were a little more paste-like. Maybe it's because I'm putting it on already wet skin, but it slips off my face pretty easily and doesn't go on as thick as I would like. I haven't tried it on my lips yet, but the lack of paste-like texture worries me in trying to use it on my lips. 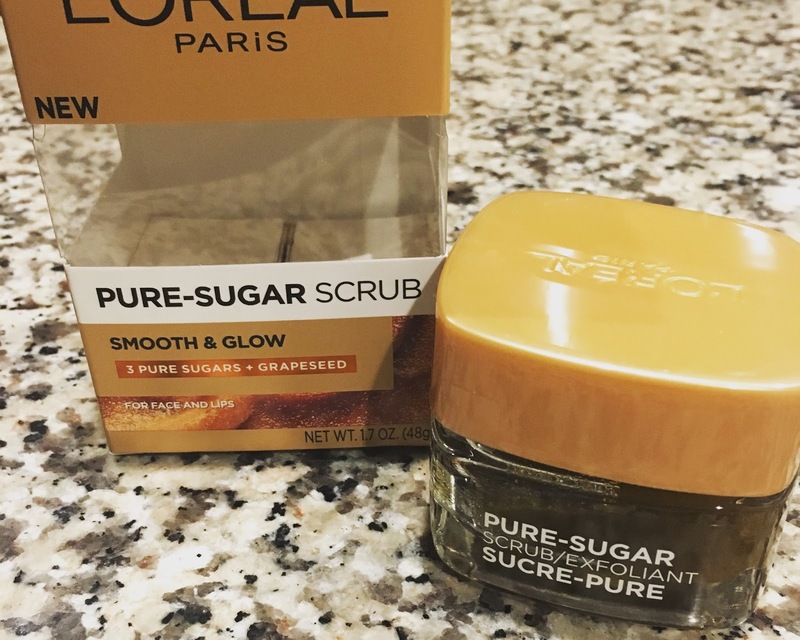 Overall, it's not a bad product, I just don't like it enough to replace a scrub I already have or to add it into my fairly minimal routine. However, if you're on the market for a scrub, I think it is good for the price point. I enjoyed using both of these products, but I will probably be more likely to use the Elvive Hair Mask than the Pure Sugar Scrub. What did you think? Are you excited to try either one of these products? !